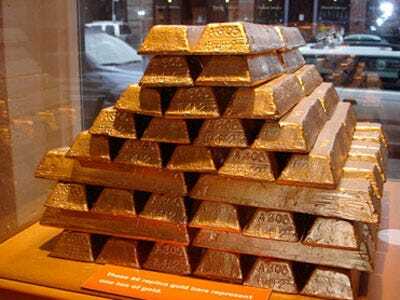 Nine out of 10 Americans might notice that the Sprott trust needs to buy gold in the size of most small central bank purchases, if they have not secured delivery already. And again according to the Prospectus, the trust does not traffic in paper and derivatives. Disclosure: I bought some units yesterday despite not feeling comfortable yet about being able to calculate the NAV for myself. It was listed by the company on their site at less than 2 per cent which is advantageous and more than reasonable.